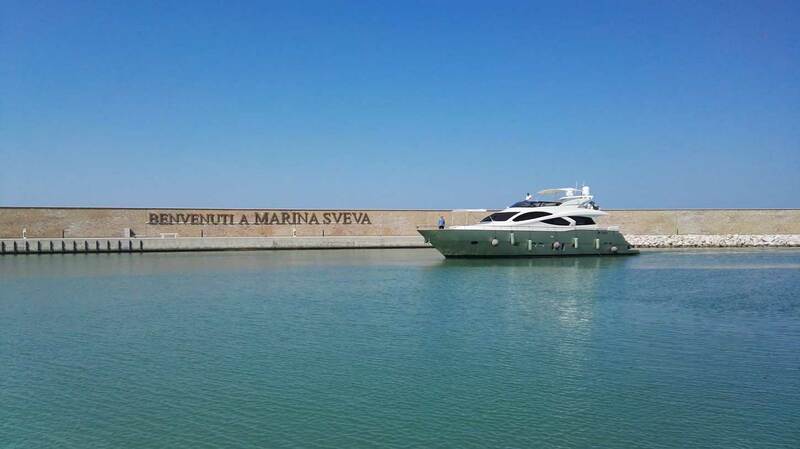 Marina Sveva, absolute excellence of the territory: cordiality, professionalism, and a broad range of services unite in a perfect equilibrium that gives birth to sea lovers’ ideal location. Marina Sveva’s brand-new port structure can be used as an exclusive and functional location by sea lovers looking for a peaceful escape, be they yachtsmen, boaters, sailors, tourists or simply visitors wishing to relax. 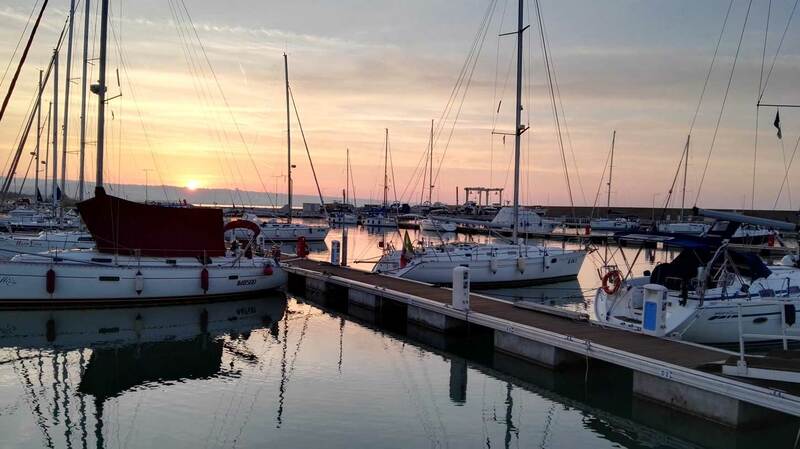 The marina provides a special setting for your activities: it is located half a mile north of the Trigno river’s mouth and is nested in the heart of a fascinating gulf that brings together the splendid towns of Vasto and Termoli, two gems of the Adriatic coast. In order to satisfy the requirements of every ship owner, and while ensuring a level of excellence in our services, Marina Sveva has put together a uniquely broad and varied offer enhanced by an avant-garde structure from both an architectural and functional point of view. 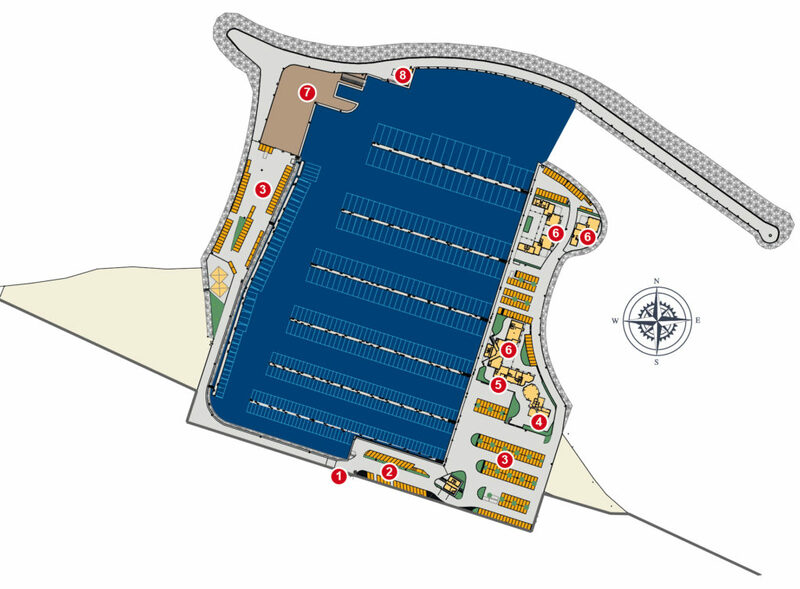 The entire construction contributes to the marina’s environmental friendliness and is tied to an extraordinary natural heritage protected in the interest of the community. 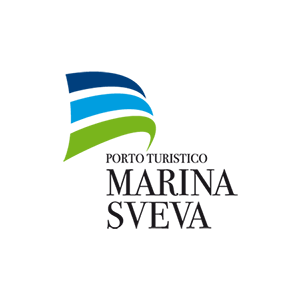 Technology, innovation and waste reduction: these are the guidelines that inspired many of our active green systems such as a sustainable last-generation water treatment plant that collects and recycles rainwater; a system for pumping, treating, and disposing of waste water and bilge water; self-sufficient hot water systems fed by solar panels; anti-pollution treatments for the bunkering area and for the water used to wash boats, thus saving drinking water. Our berths, all suited with water and electricity, are located on floating docks with fingers and can accommodate vessels of up to 30m long. This modern structure authentically reflects the richness of a territory made exceptional by its people who have always taken pride in their unique culture of tolerance, professionalism and reliability. 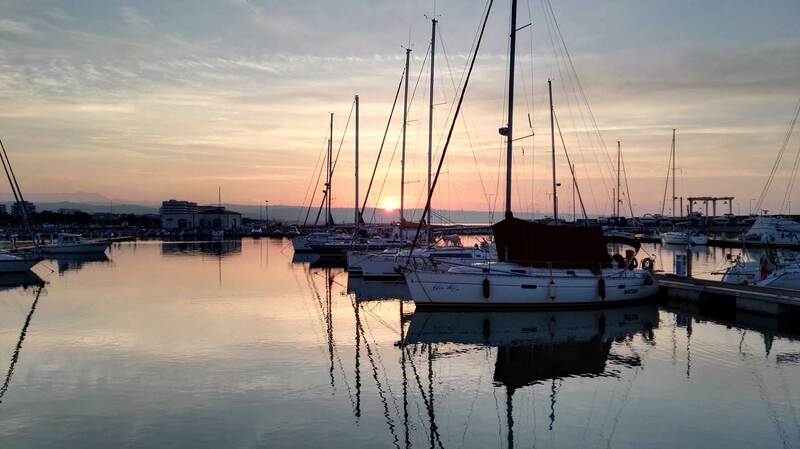 Very few kilometres separate the marina from the amenities of Marina di Montenero, San Salvo Marina and Vasto Marina that boast spacious beaches and numerous seaside resorts. In the vicinity of the port, visitors will find spas, bars, restaurants, cafeterias, pizzerias, ice cream parlours and trendy clubs, all of which make Marina Sveva the ideal place for a vacation that combines fun, relaxation and authenticity. The marina is the perfect strategic base for a day trip to the spectacular Tremiti Islands that bewitched the famous Lucio Dalla as well as the neighbouring Gargano marvels or for a cruise to Croatia’s enchanting coast sides, stopping at nearby islands on the way. In addition to the countless breath-taking scenes that are just a sail away, visitors can also enjoy a different kind of holiday in the generous and astonishing region of Molise that is located far away from tourist-swarmed areas and offers close contact with pristine nature, archaeological sites, villages, castles, craftsmanship, lakes and rivers. Furthermore, the marina is less than an hour’s drive away from majestic Marjella, which holds Italy’s biggest ski resort. Would you like a quote for Your boat? What services offers Marina Sveva?